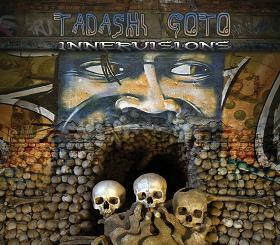 Tadashi Goto is a Japanese keyboard player (he also plays the drums on this CD). This is his second CD and to show how much respect people have for his debut you just have to look at the list of famous players that have contributed bass and guitar licks to this CD: Tony Levin, Chris Poland, Sean Conklin, Matt Bissonette, Tony Franklin, Randy George, Marco Ahrens, Brett Garsed, Jose Bernardo, Ty Tabor and Joseph Patrick Moore! Anyway, it is a pretty musically intense CD of instrumental rock music with a lot of influences. The CD mixes up these really intense fast paced complicated instrumentals with amazing bass playing, guitar and keyboard solos with tracks of what I would almost call new age keyboard synthesizer music. Overall, a great CD.